Courtney Baker took more than a year to write and mail a letter she had been thinking about since she was pregnant with her daughter with special needs, Emersyn Faith. Baker told ABC News, "I knew how important it was going to be to write that letter before Emmy was even born." 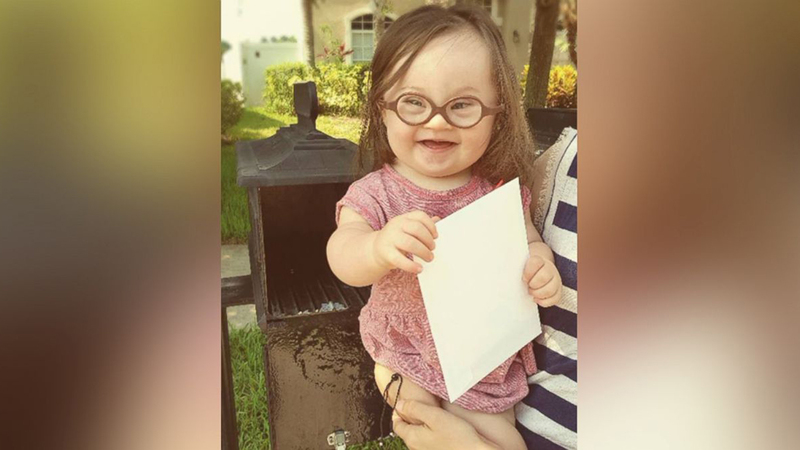 The Sanford, Florida mom, with the help of her 15-month-old daughter, finally dropped the letter in the mail at the end of May to the doctor who she said delivered her daughter's prenatal diagnosis of Down syndrome. She then shared it on the Parker Myles Facebook page, where it's been shared thousands of times. The doctor, Baker said, suggested she terminate her pregnancy. Even after she refused, she said she continued to feel pressured.